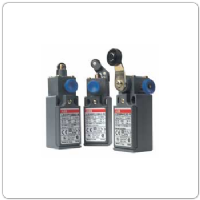 We offer a selection of limit switches with steel or plastic roller plungers and adjustable polyamide roller levers. See our products below & feel free to contact us for assistance! Subscribe for our newsletter program. COPYRIGHT © 2019. MIDWEST EQUIPMENT. ALL RIGHTS RESERVED.